For some unknown reason, the tech world spent a lot of time over the weekend talking about an upcoming Toys-R-Us tablet for kids called the Tabeo. I'm assuming this is partly because the Wall Street Journal felt the subject was worth covering; past that, I honestly can't put my finger on why this caught anyone's attention. We decided to skip covering this rumor for a number of reasons, but the biggest one is because we wanted to wait for the official PR and spec sheet for the device. That PR showed up just a little while ago, and honestly, I'm surprised that so many respectable tech outlets decided to post about this tablet. Why is that, you ask? Because it's a sham. And now, the average consumer may have noticed the small buzz that was generated and, as a result, think that this tablet is worth buying. Newsflash: it's not. Seriously. I wouldn't even buy this thing for my six month old son. Allow me to tell you why. First off, it's $150. Initially, many parents may think this a reasonable deal for their younger child - but it's not. 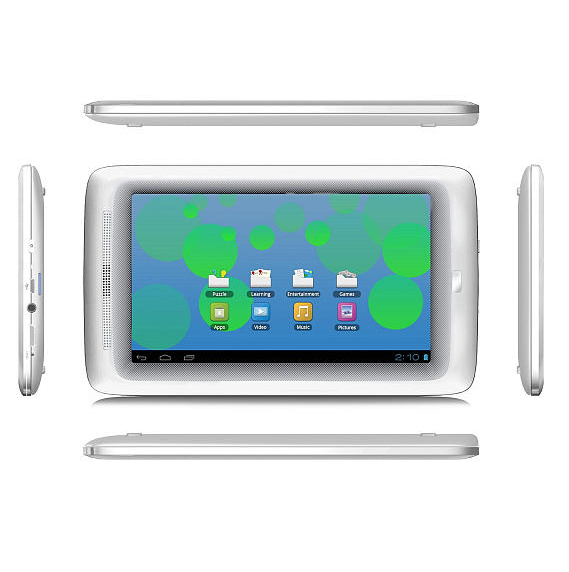 That $150 only gets you a 7" 480x800 display, 1GHz single-core processor, 1GB RAM, 4GB of storage space, and Android 4.0. The PR boasts that it comes with 50 pre-installed apps, and "nearly 10" of which are educational. The rest are games, entertainment, and books. And if you want more apps, you have to get them from the Tabeo App Store, which only offers 7,000 "games, books, and educational programs." By comparison, there are a couple of devices out there that offer far more bang for the buck, and one of them is also designed just for kids. 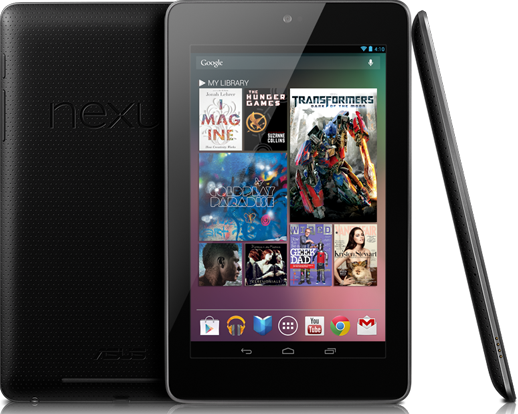 The obvious comparison here is the Nexus 7. For $50 more, you get a quad-core processor, double the storage, and the latest version of Android. While some may say that's overkill for a child, think of it as an investment. So long as your child takes care of the device, it'll remain relevant a lot longer than the Toys-R-Us Tabeo. That's not the only option though; there's also the Nabi 2. Designed just for kids in terms of usability, but still packing the hardware guts to maintain relevance for months/years to come, the Nabi 2 is an unmatched choice when it comes to Android-powered devices for kids. Really - read my review. 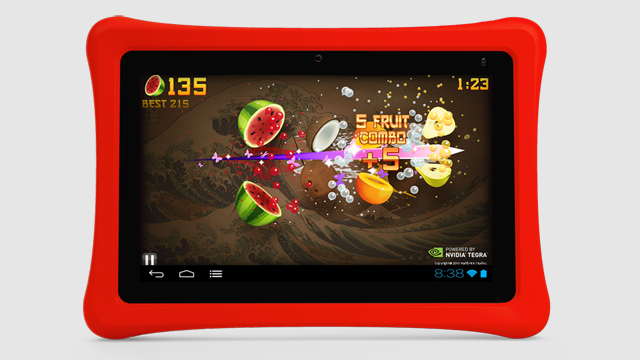 Its specs are actually very similar to the Nexus 7 and a definite step-up from the Tabeo: quad-core Tegra 3 processor, 1GB RAM, and 8GB storage (and microSD card slot). It also has a bumped up screen resolution over the Tabeo (1024x600), and uses Android 4.0 as its OS. And it's chocked full of fantastic educational software for your little one's growing brain. All that is wrapped up in a durable package that will only set you back $200 - just $50 more than the Tabeo. Ultimately, parents should always want the most bang for their buck when it comes to buying anything for the kids (or themselves, really). The comparison here is pretty clear: you can either buy 2009's leftover display and processor tech for $150, or current, relevant hardware for $200. It's up to you. 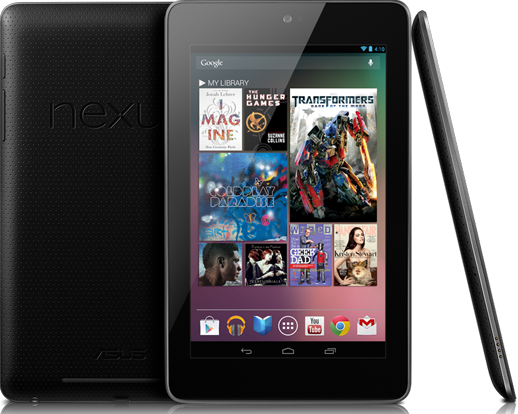 You can buy the Nexus 7 here, and the Nabi 2 is currently available from Wal-Mart, Best Buy, and Amazon.